Our imagery of the First World War is shaped by faded, maybe damaged black and white pictures. This is somehow relevant for our minds. If we shift to cinema, the situation is a little bit different (although not that different). The Great War continued to inspire many directors after the advent of colour film, but the cult movies on this conflict remain probably the black and white ones. For these reasons it’s always significant to give evidence to new books that stand out from the usual. 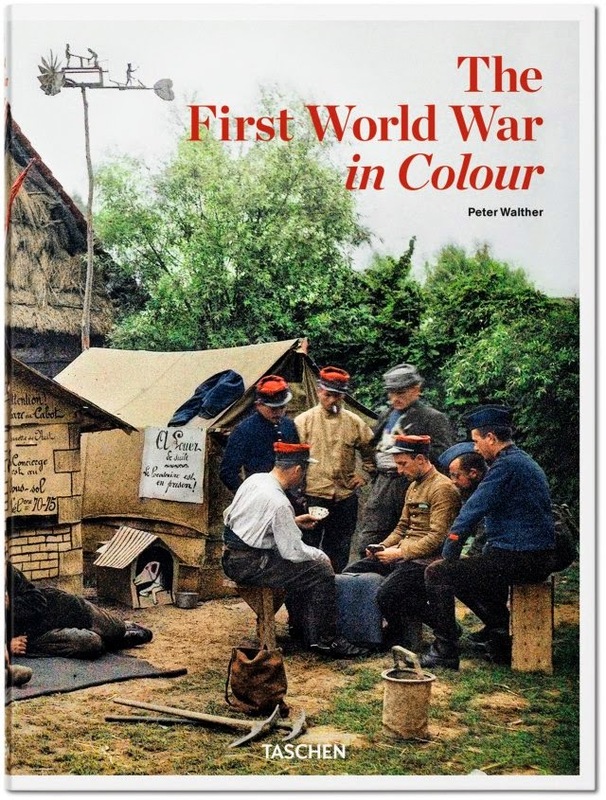 And a new book opportunity comes from this The First World War in Colour, that TASCHEN just released. The editor Peter Walther is particularly interested in early colour photography techniques and in what it’s commonly called autochrome technology (see this Wikipedia link for detailed explanation about this pioneering technique). Of course only a very small group of photographers was familiar with this printing process and an ever smaller group applied this to frame the catastrophe of the First World War. One of most interesting thing of this book is given from the simple fact that all the pictures here included needed long exposure time and this gives the strange, unnatural and sometimes shocking sensation of long pondered images​, so different from the urgent and immediate sensation we can find out in the black and white photos of the time.​ The archives that made this book possible are from Europe, USA and Australia. The book is essentially divided into five chapters, one for each year of war, with a remarkable appendix about photographer biographies, credits and further readings. Some names of these pioneers? Paul Castelnau, Fernand Cuville, Jules Gervais-Courtellemont, Léon Gimpel, Hans Hildenbrand, Frank Hurley, Jean-Baptiste Tournassoud and Charles C. Zoller. Here you can find a preview with some images taken from the book. Finally, there's probably no more suitable post to give evidence to the link featuring some rare World War 1 photos that The Open University shared with World War One Bridges to commemorate 100 years since the start of the war.